Are you a fan of motor racing? Do you watch the Grands Prix? Have you followed Lewis Hamilton’s record-breaking career on the circuit? 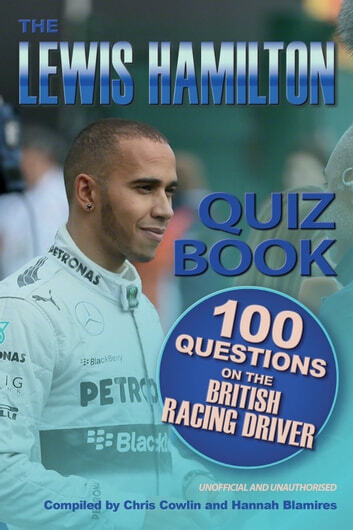 If you answered yes to any of the above, you are certain to enjoy this new quiz book all about the British Formula 1 driver?In what year was Lewis Hamilton awarded the MBE by the Queen for his services to motor racing? How many podium finishes did Lewis have during 2012? What is the title of Lewis’s autobiography, published in March 2008? 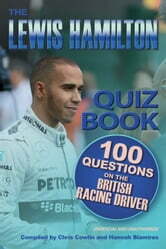 The answers can all be found inside The Lewis Hamilton Quiz Book.With 100 questions covering Lewis’s early life, his rise to prominence, career highlights and many personal details you will need to get a flying start to be able to answer some of these brain-teasers. Both educational and fun, this book is a must-have for Lewis Hamilton fans of all ages. If you would like to find out more about the British motor racing ace, you won’t want to be without this quiz book. Masten Gregory Formula One And Indy Driver From Kansas, U.S.A.